For many of our neighbors, summer means more than sunshine and vacations. It also means working in the yard – often with tools that can be dangerous if not used properly. Each year about 400,000 people are treated for injuries from lawn and garden tools, according to the U.S. Consumer Product Safety Commission (CPSC). Don’t let your landscaping efforts land you in the hospital! Follow these handy safety tips. Dress appropriately. To protect yourself from debris when using lawn tools, wear eye protection, long pants, long-sleeved shirts, close-fitting clothes and no jewelry. Sturdy shoes are recommended, and ear plugs may be appropriate depending on how loud the device is. Before starting, remove objects from your work area that could cause injury or damage, such as sticks, glass or stones. Keep children indoors and supervised at all times when any outdoor power equipment is being used. 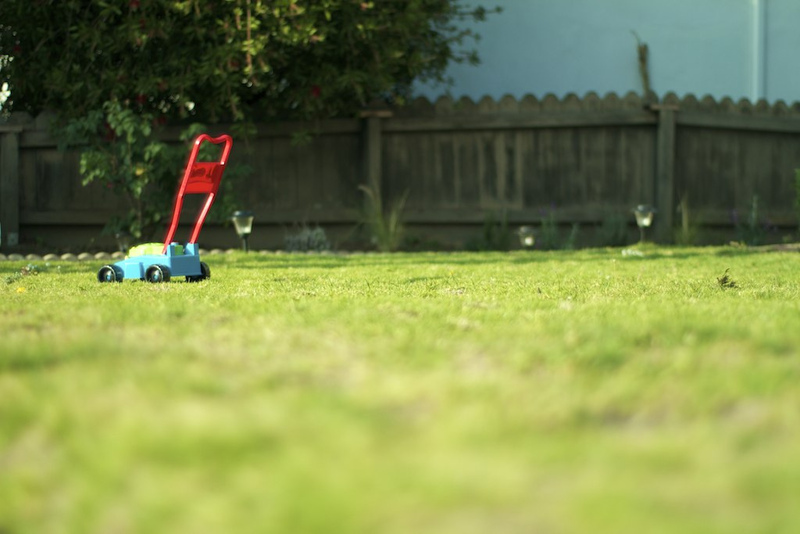 Never let a child ride or operate a garden tractor or riding mower, even if the child is supervised. And never assume children will remain where you last saw them. Use extreme caution when backing up or approaching corners, shrubs and trees. Teenagers using power equipment should always be supervised by an adult. Handle gasoline carefully. Never fill tanks while machinery is on or when equipment is still hot. Of course, you should never smoke or use any type of flame around gasoline or any gasoline-powered equipment. Do not work with electric power tools in wet or damp conditions. For protection against electrocution, use a ground fault circuit interrupter (GFCI). Be sure that extension cords are in good condition, are rated for outdoor use, and are the proper gauge for the electrical current capacity of the tool. If you use chemicals to control weeds or pests in your lawn, read the product label carefully so you understand the potential effects on humans, animals and the environment. Follow all instructions. Keep children and animals away from the application area, and protect your skin, eyes and nose during and after application. Remember, use only the recommended amount. Using more of the chemical will not do a better job. Ask yourself if you truly need to use a general pesticide. Is there a product that will specifically treat only the problem you need to solve? From all of us, here’s to keeping both you and your lawn healthy this summer! Top image by Flickr user breakmate used under Creative Commons Attribution-Sharealike 2.0 license. Image cropped and modified from original. Copyright © 2019, Campbell Insurance Group All rights reserved.